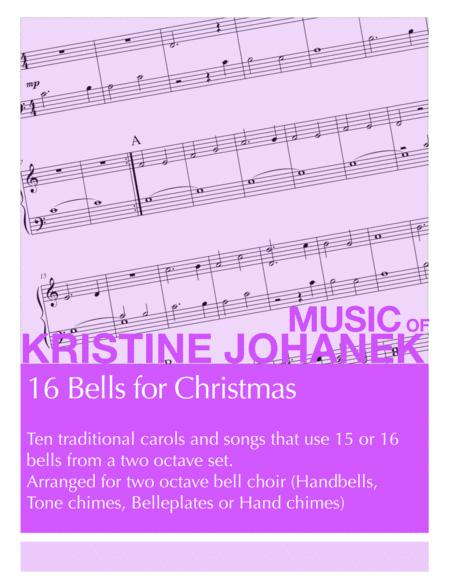 This collection of 10 carols and seasonal songs can be played individually for many occasions, but was put together in this format especially for bell ringers who provide background or ambience music, ringers for open house events, and charity bell ringers. It allows for ringers to provide continuous music in a small space with very little interruption between songs. Set-up can be accomplished with 8 players, 4 binders of this music, 4 music stands, a two octave bell set and a small ‘TV tray’ table for spare bells, water bottles, tissues and other essentials. 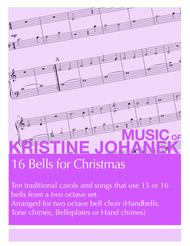 Tone chimes are compact and tough, but you can use handbells, hand chimes, or belle plates as well. Playing through all ten pieces in this collection will give you about 20 minutes of music. Individual pieces are one and a half to two and a half minutes long. This collection is reproducible for one performance organization. This allows you to annotate as needed, without worrying about how the music might be used differently in the future. 2018 Holiday Contest Entry.